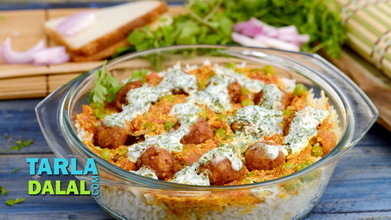 Nawabi Kesar Koftas Video. 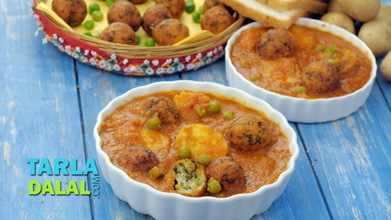 The grandeur of this recipe is evident from the ingredients that go into the kofta. 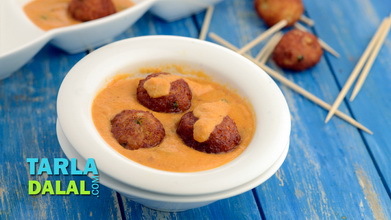 A range of dairy products, saffron and dry fruits give these Nawabi Kesar Koftas a melt-in-the-mouth texture and magnificent flavour. 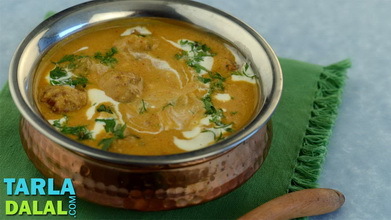 Combine the saffron and milk in a small bowl and mix well. 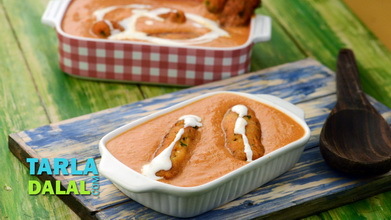 Combine all the ingredients along with the saffron-milk mixture in a deep bowl and mix well. Divide the mixture into 8 equal portions and shape each portion into a ball. 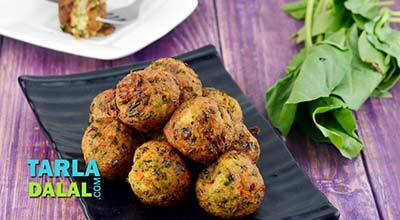 Heat the oil in a deep non-stick kadhai and deep-fry, a few koftas at a time, on a medium flame till they turn golden brown in colour from all sides. Heat the oil in a deep non-stick pan, add the prepared paste and sauté on a medium flame for 5 minutes. Add the tomato purée, mix well and cook on a medium flame for 2 to 3 minutes, while stirring continuously. 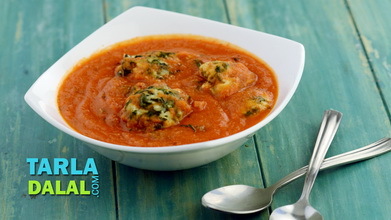 Add ½ cup of water, dried fenugreek leaves and salt, mix well and cook on a medium flame for 3 minutes, while stirring occasionally. Lower the flame, add the fresh cream, mix well and cook on a medium flame for 1 minute, while stirring occasionally. 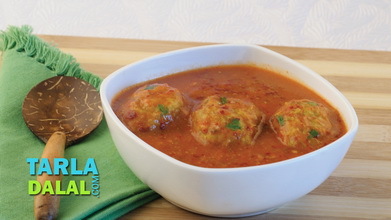 Just before serving, re-heat the gravy, add the koftas, mix gently and cook on a medium flame for 2 minutes, while stirring occasionally.